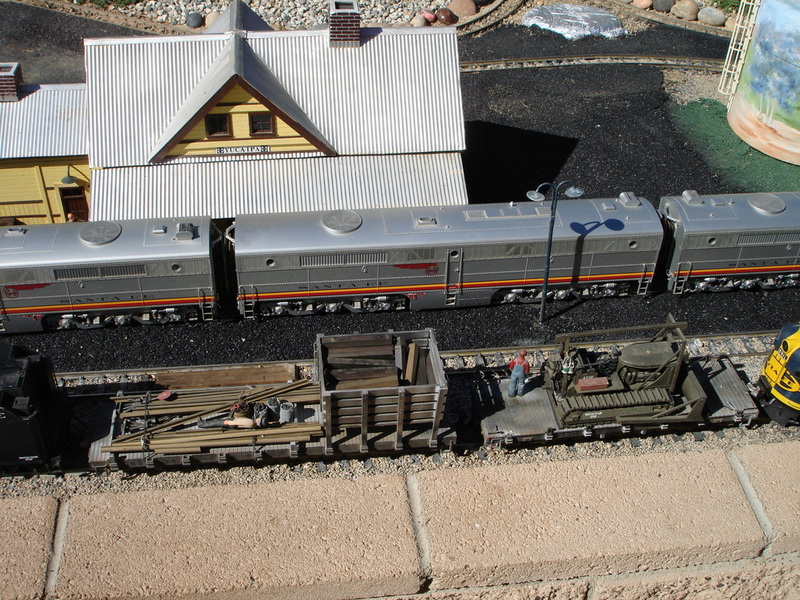 Mike Stewart was another inspiration to me in this hobby. 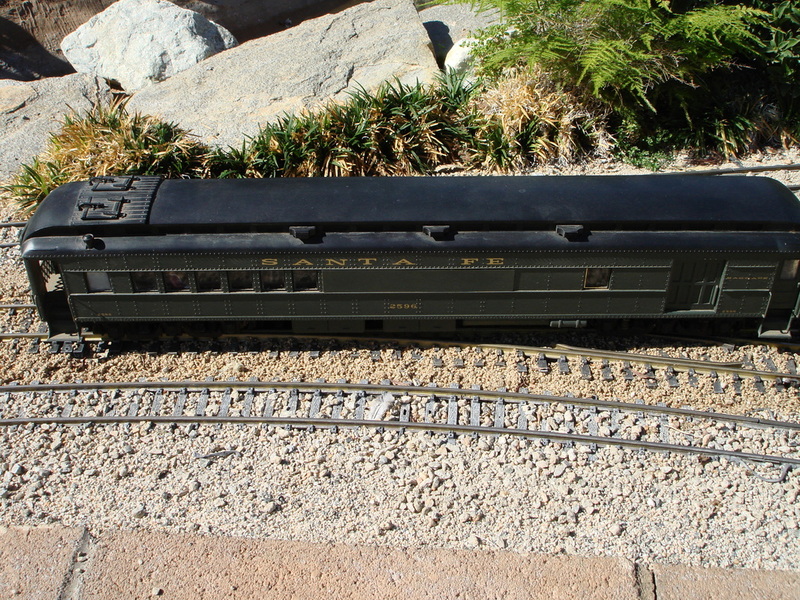 His meticulously crafted Santa Fe Maintenance of Way train and attention to detail brought me into the world of kit bashing in G scale. 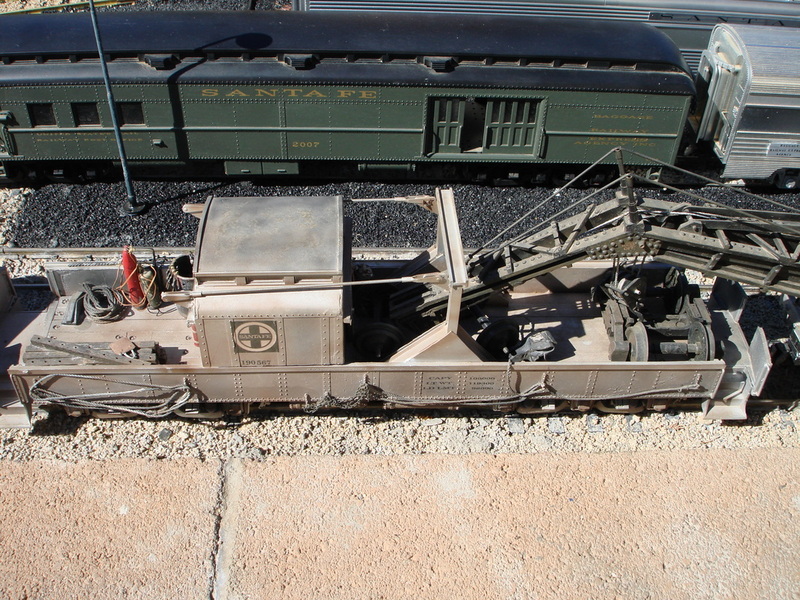 He is also responsible for my love of the Santa Fe Railroad. 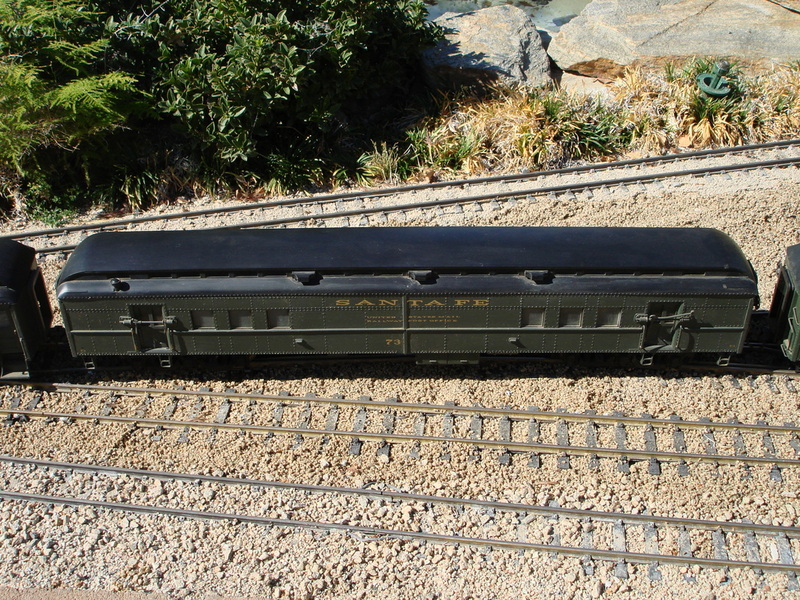 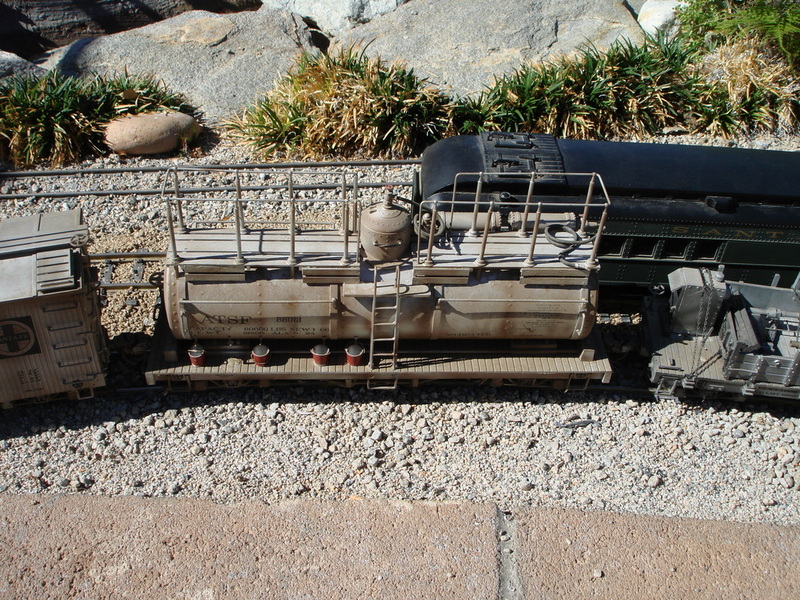 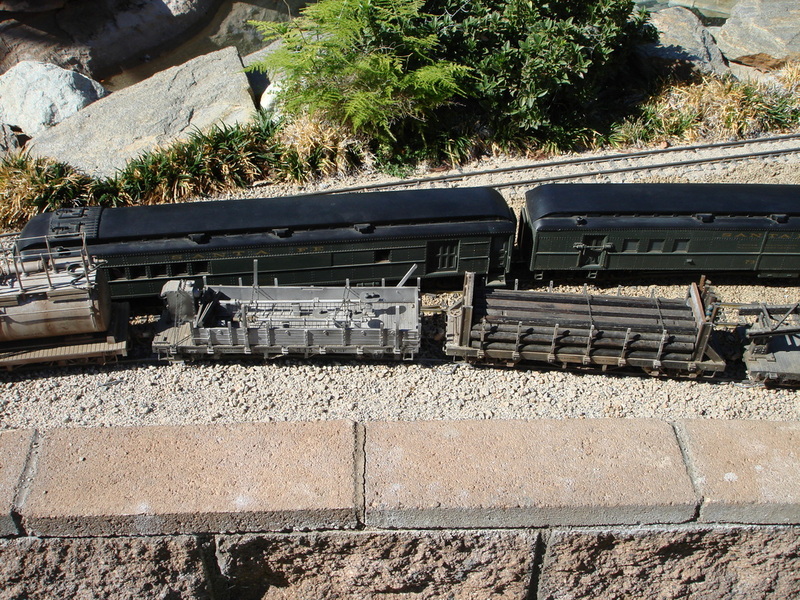 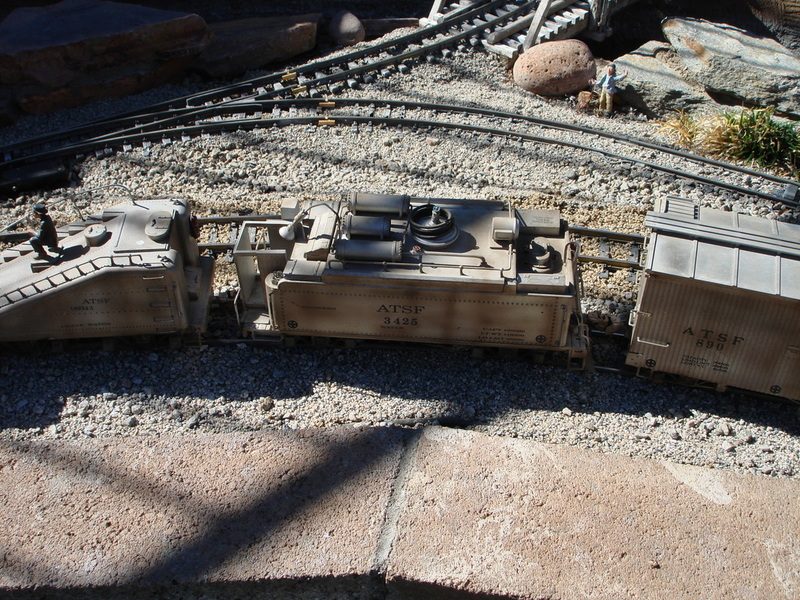 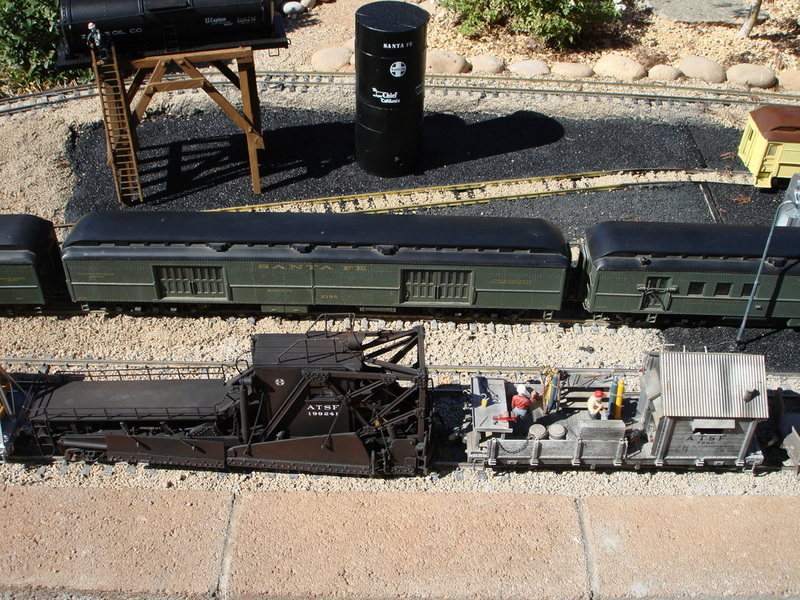 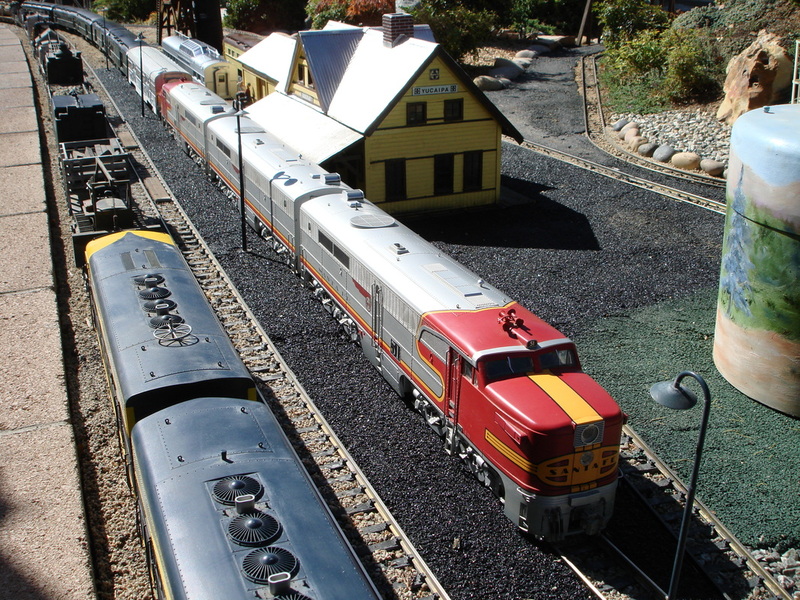 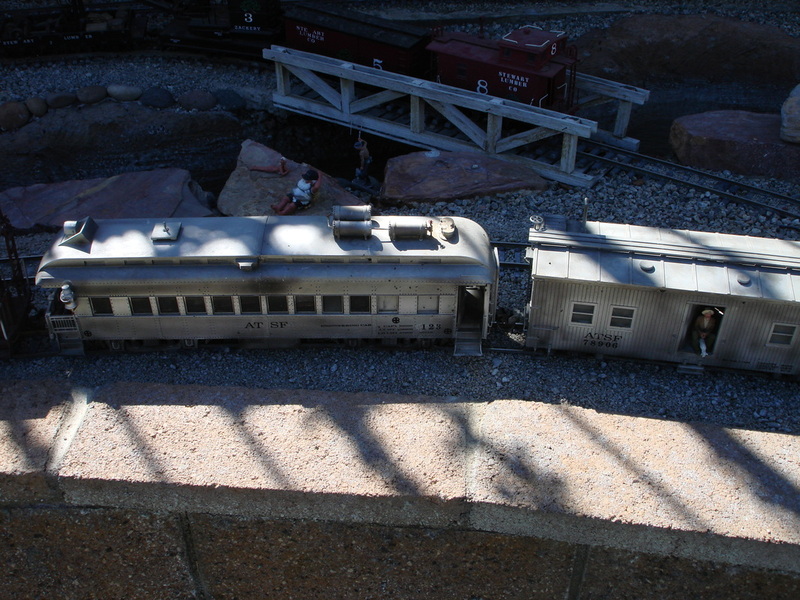 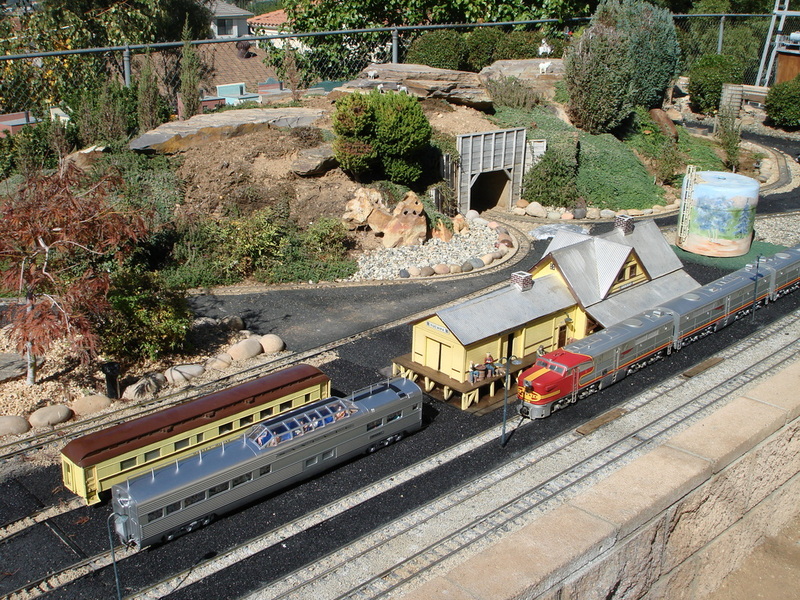 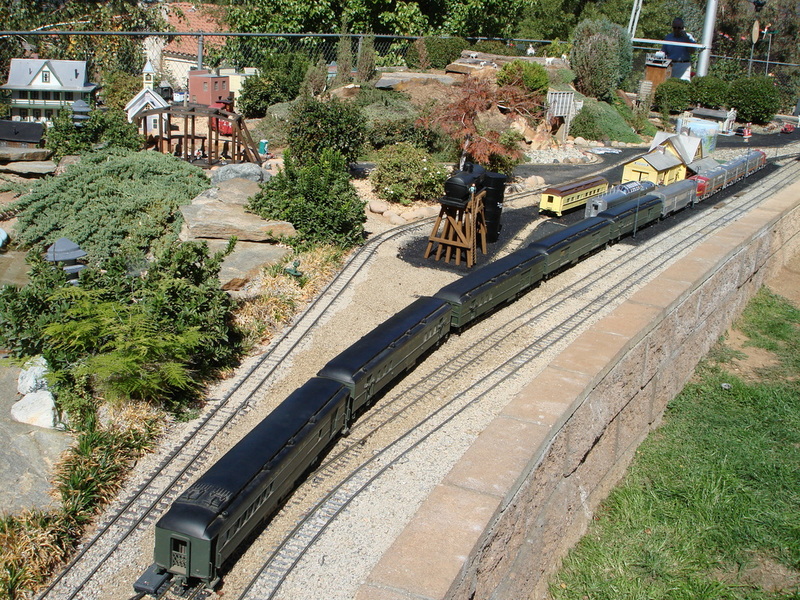 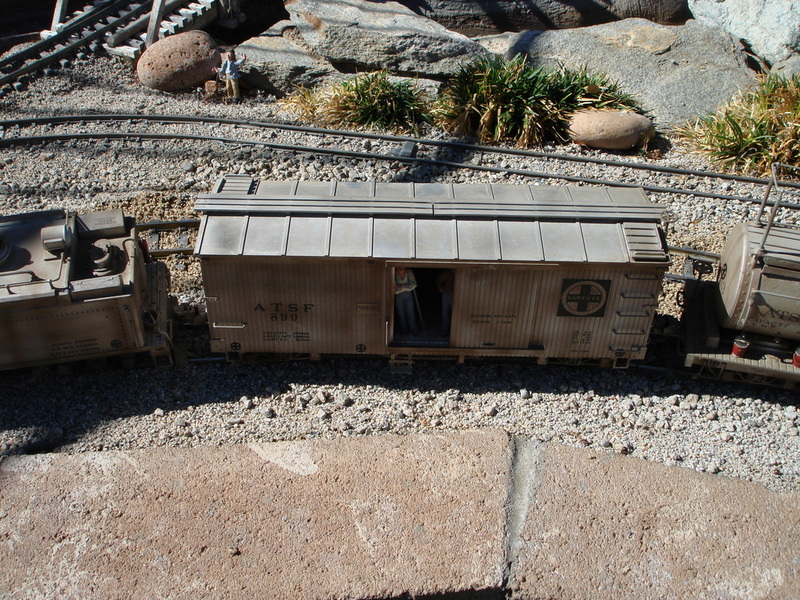 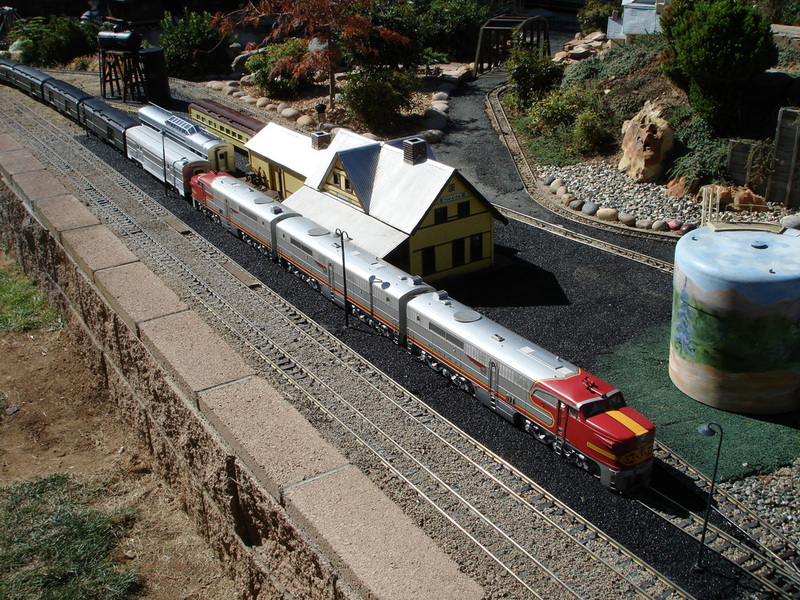 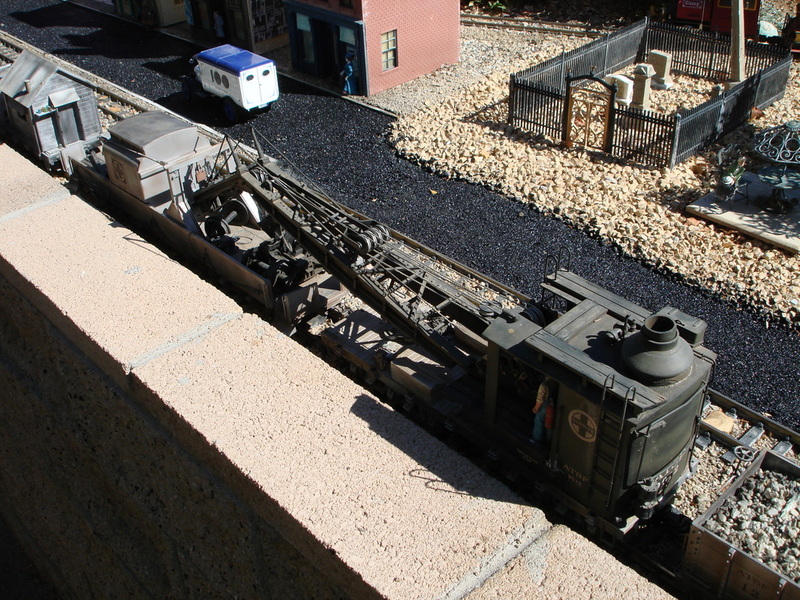 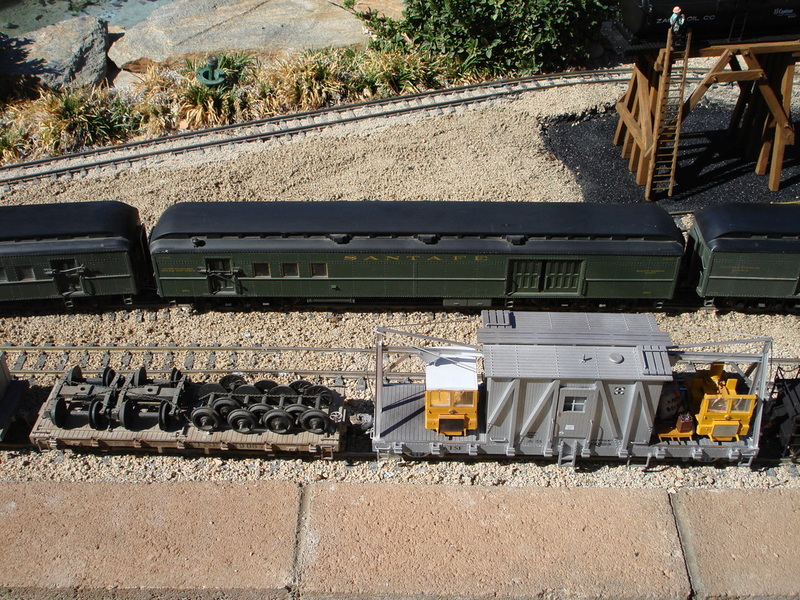 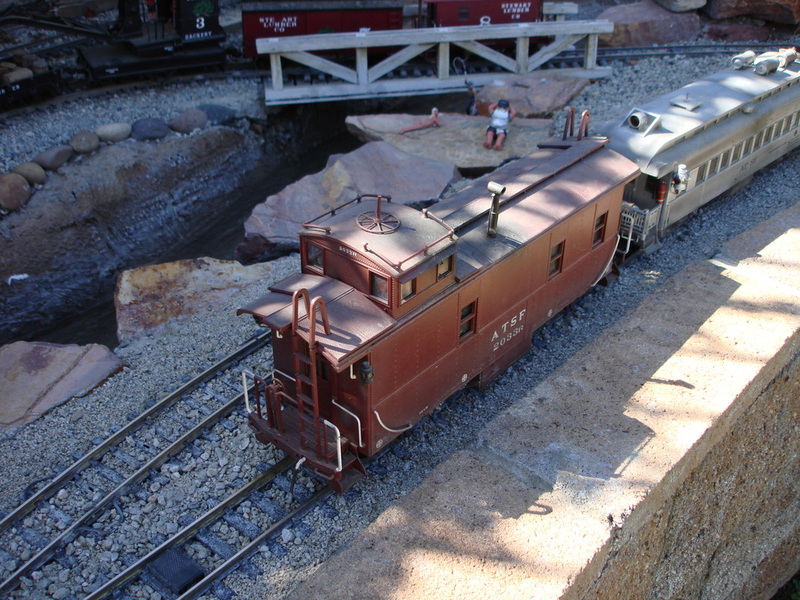 He has a wonderful G scale layout that includes many custom structures as well as trains. 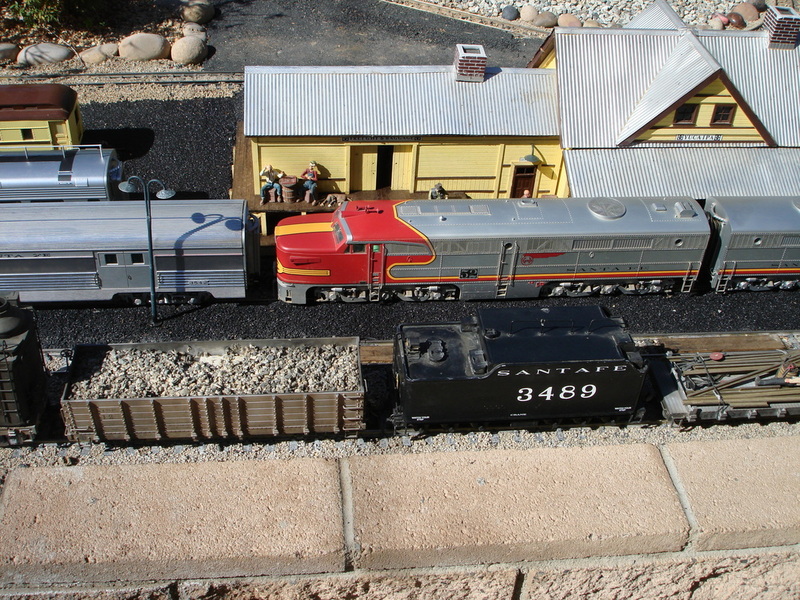 A Santa Fe Fast Mail train makes a quick stop at the Yucaipa station while a maintenance of way train sits on the siding. 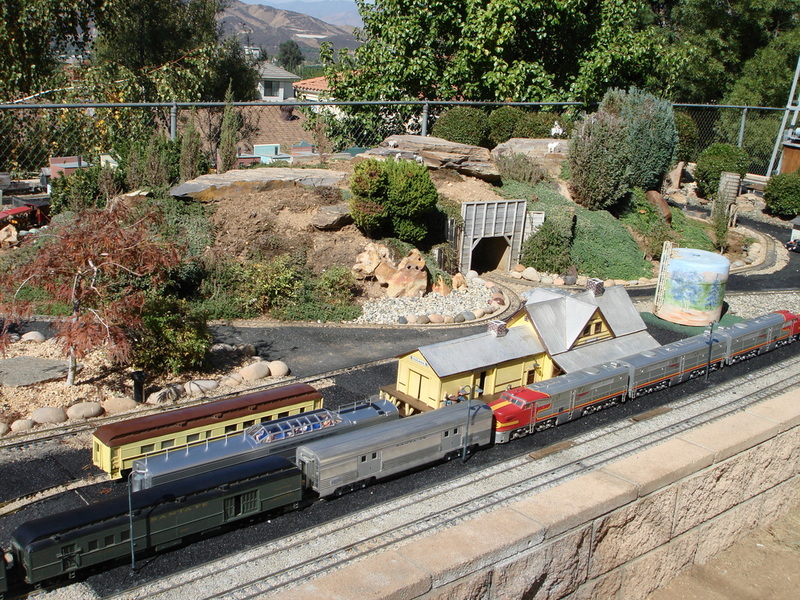 A set of Santa Fe PAs back up to couple to their train while two passenger cars are on display at Yucaipa station.